A new craze is seeing coffee-drinkers blending their morning brew with up to 80 grams (two-thirds of a stick) of butter, in a bid to boost energy levels and promote weight loss. 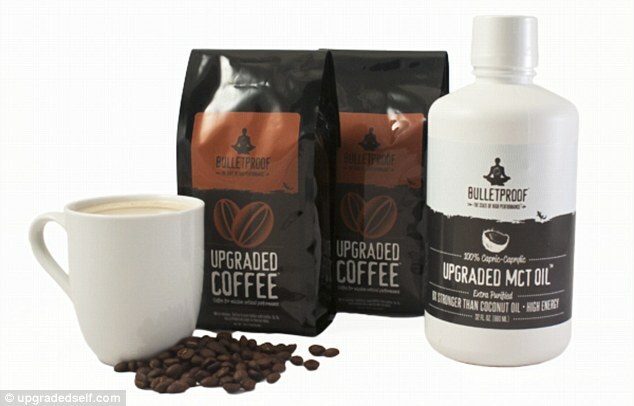 David Asprey, the creator of Bulletproof Coffee, claims that this concoction is full of healthy fats that will keep your energy levels up ‘for six hours if you need it’, as well as ‘improving cognitive function’ and ‘shrinking your waistline’. But some health experts, like Today diet and nutrition editor Madelyn Fernstrom, say the blend – which contains between 100 and 200 calories a cup – can actually promote weight gain, and that any extra energy experienced by drinkers is merely a placebo effect. 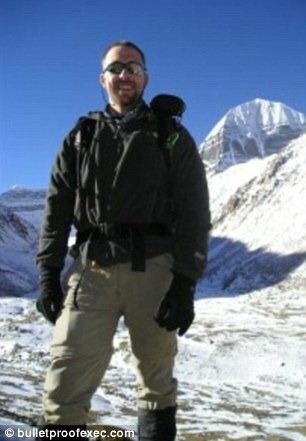 Mr Asprey says he discovered the power of butter-blended drinks on the top of Mt Kailash in Tibet, at 18,000 feet elevation. ‘I staggered into a guest house from the -10 degree weather and was literally rejuvenated by a creamy cup of yak butter tea,’ he recalls on his website. He recreated the energy-boosting effects by mixing unsalted grass-fed butter with his trademark Upgraded Coffee – made from ‘low-toxin beans’ that make it ‘cleaner’ than Starbucks coffee. According to Mr Asprey, butter contains ‘all the benefits of healthy milk fat with none of the damaging denatured casein proteins found in cream,’ making for ‘the creamiest, most satisfying’ cup of coffee. The coffee also contains MCT oil – a blend of coconut and palm oil – which Mr Asprey says is digested faster than other fats and therefore boosts energy and promotes weight loss. Those who follow a ‘paleo’ diet, which consists of mainly animal fats and protein, are fans of the coffee since it falls in with their high-fat regimen. Indeed, blogger The Paleo Mama said she tried out the Bulletproof recipe and experienced a satisfying ‘high performance buzz’. Others have pointed out that adding a pat of butter to your morning brew is equivalent to mixing in a few spoonfuls of cream. And while butter and coffee may sound like an unlikely combination, it has actually been consumed around the world for years. Aside from the Tibetans Mr Asprey encountered, who do indeed drink yak butter and tea at high altitudes, Ethiopians commonly add spiced butter into their coffee. And in Singapore, coffee beans are often stir-fried with butter in a wok before being consumed. But as far as health benefits are concerned, some experts disagree with Mr Asprey’s findings. According to Heart.org, butter is very high in saturated fat, an ingredient which raises the level of cholesterol in your blood and therefore increases your risk of heart disease and stroke. Since Mr Asprey recommends mixing in as much as 80 grams of butter – or two-thirds of a stick – the brew is likely to contain a significant amount of saturated fat. And in terms of taste, when Matt Lauer tried out the concoction on the Today show this morning, he appeared underwhelmed. ‘It’s terrible,’ he said with a look of revulsion. Still, Mr Asprey and his believers insist that the side effects of drinking butter-infused coffee are solely positive. ‘Aside from tasting awesome, it makes you feel lean, focused, and energized,’ he promises.